Three very important African observer missions to Zimbabwe endorsed the just ended controversial elections in Zimbabwe. The watershed elections gave Zimbabwe a chance to breakaway with the past and embark on a new chapter. But the process fell way short to meet the international standards largely because of influence of Zanu PF and the failure by the Zimbabwe Electoral Commission to be an independent arbiter and discharges its mandated duties in a transparent manner. The three observer missions that endorsed this sham election were the African Union Electoral Observer Mission (AUEOM), the SADC Electoral Observer Mission (SEOM) and the COMESA Election Observer Mission. The three observer missions were quick to endorse the sham election only a few hours before the start of the deadly post-vote violence that has left at six people dead so far. It is a shame that these regional bodies have chosen to side with the military backed Zanu PF leadership. This endorsement of Zimbabwe's objectivity problematic and unjust election process undoubtedly symbolises the structural, political and electoral ills afflicting African politics. These observer missions said the elections were generally peaceful, transparent and adhered to national, regional and international standards. I beg to differ with this view and I think there are many other international observers whose observers won't let this sham pass their test of legitimacy. An honest assessment of what had transpired in Zimbabwe before the election would have produced a different outcome had these African observer missions chosen to be transparent. There was an uneven playing field, intimidation of voters before and during the process and lack of trust in the process especially ZEC whose conducting of the elections was shambolic and disorganised. This surely compromised the pre-election environment. Although the African Observer Missions endorsed the process of the election, the Zimbabwe elections was a sham grounded on a military coup and 'won' with the help of illiberal ideas and driven distortions and bigotry that surpassed Cambridge Analytica's efforts during the 2016 US presidential election that brought in Donald Trump into power. Zanu PF implemented strong intimidation tactics especially in the rural areas to win this election. The army deployed in excess of five thousand soldiers to rural areas months before the polls. And their core mandate was to intimidate the electorate and scare them with the repeat of 2008 if they did not vote for ZANU PF and Emmerson Mnangagwa. 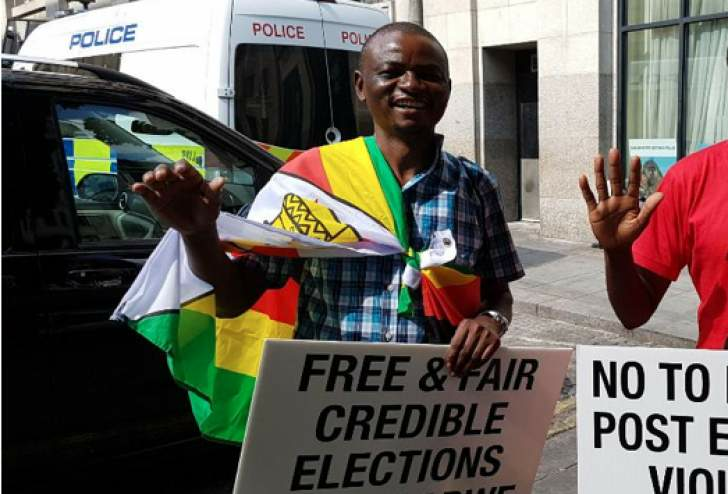 The denial of the three million plus citizens living in the diaspora their democratic right to vote in the historic elections also worked in favour of the incumbent Zanu PF. All these factors show that the election was rigged against the MDC Alliance from the onset. Zanu PF also used influential and flattering state media outlets to shape public opinion. The state-owned Television stations and ZBC operate much like Zanu PF's 24 hour, year round, nationwide information and publicity department. These outlets often deny Zimbabweans accurate and valuable information needed to debate political, social and economic issues that affect their daily lives and influence how they will vote. During the pre-election period, ZTV and ZBC did their best to silence critical points of view and whitewash the many failures by Zanu PF. In view of this, it is impossible to say Zimbabweans were given a free and fair opportunity to make an informed decision. The fact that all three African Observer Missions, the AU, SADC and COMESA certified this sham election as credible, only shows how low the bar for democratic and electoral standards is currently set in Africa. This is tantamount to legitimising an illegality. Africa, Africa, this must change.